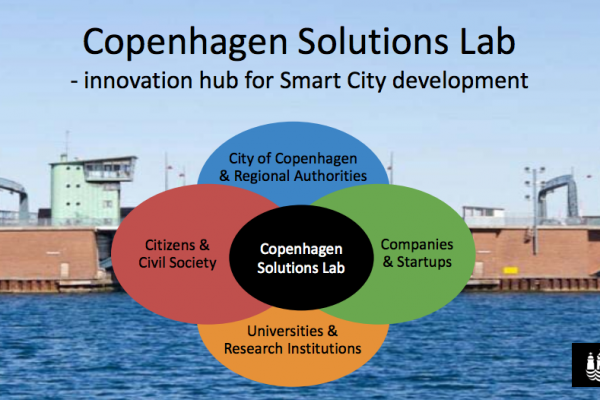 I recently attended a presentation by Winn Nielsen, Head of City Data for Copenhagen. I was struck both by how far they had gone in laying the foundation for a smart, data driven city, and by how similar their approach to data was to the Urban Opus model. Nobody cares about Smart Cities – they care about livable cities with a great quality of life. 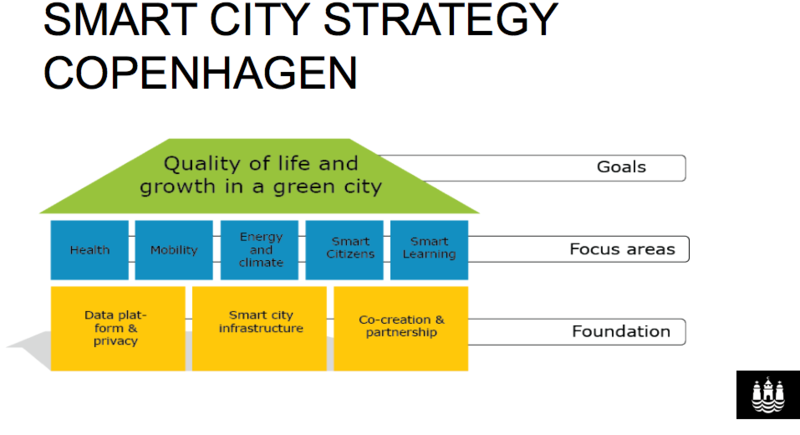 Although I think this message is now becoming mainstream, Winn stressed that Copenhagen’s strategy doesn’t talk about Smart Cities, instead it focuses on a livable city, a sustainable city etc. Citizens and politicians don’t care about Smart Cities. Smart City infrastructure demands a ‘loose solutions’ approach with suppliers working together to provide a loosely couple infrastructure offering data and management interoperability. A key lesson from several projects has been the need for suppliers to partner both with the city but with each other to ensure that attempts to make the city infrastructure smart, is don in collaboration with other city systems. He discussed the new testbed they are developing around city hall – not to try out individual smart city technologies, e.g. smart parking, buildings etc – but to test the integration of the individual solution with each other and with the city platform. 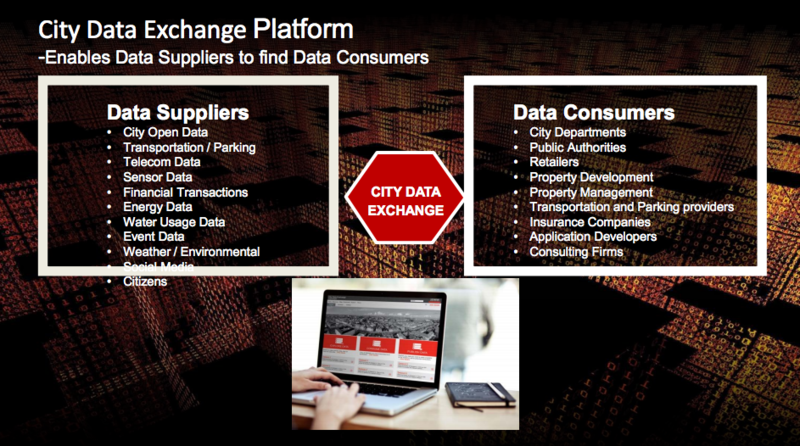 Data brokerage is a critical piece for Smart Cities. People have focused on OpenData and there are many initiatives around ensuring citizens have access to city data via OpenData platforms etc. However, he argues that is only part of the issue. The real benefit from data will come when citizens and corporations make their data available. Since this data is valuable, you need to develop a data brokerage or data exchange platform that allows corporations to buy and sell data. Further, it needs to allow citizens to also make their personal data available and to provide means for them to secure the data, control who sees it and provides ways for them to benefit from the use of their data. This is exactly the approach we have taken with Urban Opus – our data hub has been developed to support both open data (using a CKAN implementation) but also a data brokerage where data can be submitted by citizens and companies and access controlled. Although Urban Opus has not (yet) implemented a full buy/sell data brokerage model – we believe this is the future of the data hub as an innovation catalyst and are very interested in fostering projects that can develop this model and in talking to potential commercial partners who wish to explore business models associated with data brokerage.